Magic mushrooms are a naturally hallucinogenic drug that have been used for centuries around the world. If you want to educate yourself on what they are, how they work and some potential side‐effects, here are six things you may not know. Magic mushrooms are a naturally hallucinogenic drug that have been used for centuries around the world. If you want to educate yourself more on what they are, how they work and some potential side effects, here are six things you may not know. 1. What Type of Mushrooms are Hallucinogenic? Not all mushrooms have hallucinogenic qualities. The ones that do, contain psilocybin, psilocin, or muscimol and ibotenic acid. 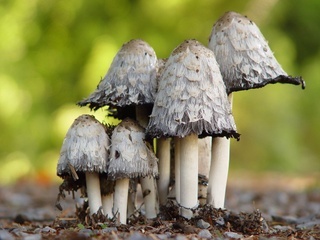 At least one of the variations of hallucinogenic mushrooms can be found on most continents (except Antarctica) and there are over 200 known types around the world. Magic mushrooms are typically eaten raw or cooked. They are sometimes steeped into a tea or mixed into a drink. Rarely, they can also be dried and crushed into a powder then snorted. 3. What Are Their Perceived Benefits? Use of magic mushrooms can lead to distorted perceptions of reality both in auditory and visual ways. Senses can overlap and be mixed up, leading users to be able to “see” music. Users may also experience hallucinations. 4. What Are Their Short Term Effects? Short term side effects of magic mushrooms can include drowsiness, inability to concentrate, increased heart rate and blood pressure, sweating, paranoia or anxiety. 5. What Are Their Long Term Effects? Long term side effects are not known, as they have yet to be studied extensively. However, one side effect of prolonged use can be psychosis similar to paranoid schizophrenia. Addiction to magic mushrooms or the hallucinogenic qualities in them is uncommon. As a result, withdrawal symptoms from stopping use are also uncommon. That being said, a user can become tolerant to the drug’s effects quickly.